The Seahawks have a chance to head into their bye week at 6-4 and on a two-game winning streak. In their way this week is the New York Jets. The Jets are coming off their bye and are sitting at 3-5 and they are looking to get back into the AFC playoff picture. The Seahawks lead the all-time series with the Jets 9-8. In their last meeting, the Seahawks defeated the Jets and their quarterback Brett Favre 13-3 in December of 2008. That game was most famous for being in the middle of the worst snowstorm stretch in Seattle history. It was also Coach Holmgren’s final home game coached for the Seahawks. There is a lot to be looking for out of both teams this week. Here is what I’ll be watching for. Marshawn Lynch is 119 yards away from reaching the 1,000 yard plateau for the second straight year. The New York Jets defense is giving up an average of 141 rushing yards per game. It is no surprise given these numbers that running the ball will have a big impact on the productivity on offense this week. I do not think Russell Wilson will have to put up big numbers passing this week. My hope is that we can have a 55/45 mix in terms of running and passing the ball. The Jets defense is banged up and all-pro cornerback Darrelle Revis is out for the season. Outside of Lynch, I think Sidney Rice will have a big game this week. Russell Wilson has been looking more towards Rice’s direction recently and I think it is only a matter of time before Rice really breaks out and puts up numbers that challenge for the best wide receiver numbers in the NFL in a given week. The key to Wilson’s play this week will not to be too eager to throw the ball, especially if he gets into a comfortable rhythm. This is the type of game could get sloppy with multiple turnovers if the Seahawks are overconfident. If the Seahawks offense has more than 2 turnovers, the game may be closer than I hope. I watch film of the New York Jets and I see an offense and a quarterback that can get flustered fast and try to force passes. Of course one of the most important aspects of a successful defense is establishing a pass rush but if that does not work this week, the Seahawks can get off the field if they can shut down New York’s receivers. If Mark Sanchez finds an open receiver, he will make a throw. But what happens if Sanchez cannot find an open read? Sanchez will hold on to the ball and try to force throws into coverage. 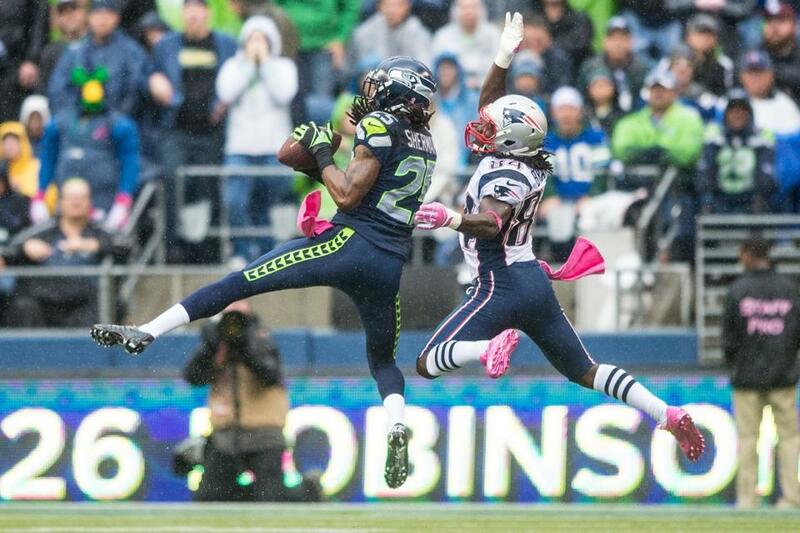 The faces of Earl Thomas, Brandon Browner, and Richard Sherman will not have wider smiles if this happens this week. I expect at least two interceptions thrown by Sanchez this week. Stopping Shonn Greene will also be a focus this week given our struggles in the running game the past three weeks. I think the key to victory on defense however begins with forcing Mark Sanchez into mistakes. I will even go on a limb right now and make the bold prediction that Tim Tebow will be the Jets quarterback late in the fourth quarter, as Sanchez will struggle mightily this week. On special teams, I am interested to see if the Jets do anything differently in order to stop Leon Washington. Washington previously played for New York before being traded to Seattle on draft day 2010. Because of this, the Jets and head coach Rex Ryan would know better than anybody how to stop Washington. Leon has struggled recently, especially on punt returns. It would be nice to see him break off a couple decent returns but I am not expecting anything extraordinary. The New York Jets have been labeled my many fans and critics as “The Circus” given the always-contending mentality of Rex Ryan and the fact that they sport the league’s most popular backup quarterback, Tim Tebow. This year the Jets have gotten off to a shaky start at 3-5. The Sanchez vs. Tebow debate rises every week that Sanchez struggles and the Jets also have lost two of their best players for the season due to injury; cornerback Darrelle Revis and wide receiver Santonio Holmes. It is the Jets’ offense that has my attention this week. New York is averaging just shy of 20 points per game on the road this season and they are 1-2 in the process. I put my spotlight on the Jets receiver corps this week. Without Holmes, the Jets available receivers are Jason Hill, Clyde Gates, Jeremy Kerley, Chaz Schilens, and rookie Stephen Hill. None of these receivers have proven themselves to be Sanchez’s go-to target and the leading receiver, Kerley, only has 30 catches for 478 yards on the season. As I noted earlier in my preview, if the Seattle defense can stay on top of New York’s receivers all game long, Sanchez will have a difficult time. All-in-all, the Jets defense does not scare me one bit. 20 points per game may be an okay amount on the road, but I expect the Seahawks to hold them for significantly less this week. One more quick note, this week the Seahawks need to keep up the momentum at home. This is the first home game where the Seahawks are unanimously picked to win by all the experts on every sports network. After beating Minnesota last week, a mental letdown would be the worst thing for this team, especially since our next two games after the Jets are on the road. Random Thoughts: This week is “salute to service” military appreciation week around the NFL. The Seahawks will participate in a card stunt during the national anthem just like last season. The Seahawks will also wear camouflage accessories on the field and World War II vet Joe Moser will raise the 12th Man flag… I got my customized authentic Seahawks home jersey in the mail this week. It looks so cool. I can’t wait to wear it on Sunday… Speaking of uniforms, expect the Seahawks to wear blue/blue again this week… I am taking my dad to this weekend’s game. One slight negative to taking my dad is I give up my aisle seat for him. I am more than happy to do it but when you sit in that seat 9 out of 10 times a season, sitting in seat 2 feels really weird… The Washington Huskies play Utah at 7:30 Saturday night. I was praying the Huskies game would be an afternoon game. Now I have to decide how hard to go Saturday to make sure I am rested and ready to go for Sunday… The temperature is supposed to be in the high 40’s at gametime. It looks like I’ll be able to wear the beanie I got with my season tickets for the first time this week… I am sick of all these 1:05 starts. It’s nice to have an extra 20 minutes if the game starts at 1:25 instead. The good thing I guess is the rest of our games are 1:25 kickoffs, barring a game being flexed into Sunday Night Football… No word on the pregame giveaway at this point. Odds are the giveaway will be military themed though… Marv Albert and Rich Gannon have the call for CBS this week. Given Marv’s primary broadcasting focus is basketball, how many times do you think he will call the Seahawks the Sonics?… It will be nice to have a bye after this game. If we can beat the Jets and win in either Miami or Chicago, we have a tremendous chance of making a push for a playoff spot. Prediction: I have no reason to believe the Seahawks will lose this game. We are better than New York in all three phases of the game. Like I predicted earlier, Lynch will get to the 1,000 yard mark, he will score a touchdown, and Tim Tebow will be quarterbacking the Jets by the end of the game. Rex Ryan will make a statement in his postgame press conference about how the Jets play was embarrassing, and the Seahawks will head into the bye week with a 6-4 record. Check back Monday for my review of the Jets game. Enjoy the game everybody! Go Seahawks! The Seahawks have a big task ahead of them in week 3, as they host the defending NFC North champion Green Bay Packers in front of a nationally televised audience on Monday night. The Seahawks are coming off a much needed win last weekend over Dallas and the Packers are also coming off a dominating victory over Chicago last Thursday night. The Seahawks are 5-10 all-time against Green Bay. 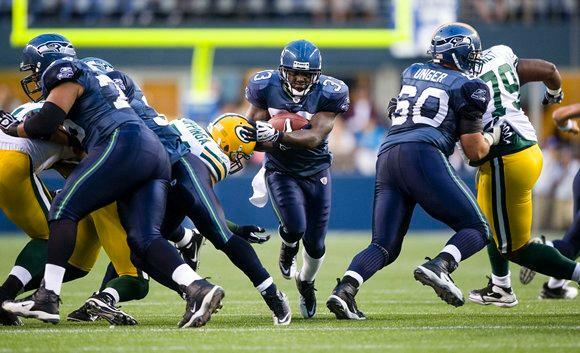 In their last meeting, the Seahawks were blown out by the Packers at Lambeau Field 48-10 in 2009. Here is what I will be looking for this week. This week the Seahawks need to make sure the best players start along the offensive line. This means having Russell Okung at full strength. Although the Packers have struggled recently as a whole on defense they have some pretty spectacular players. Clay Matthews in particular is a player the Seahawks must keep in check. Through two games Matthews already has 6 sacks. 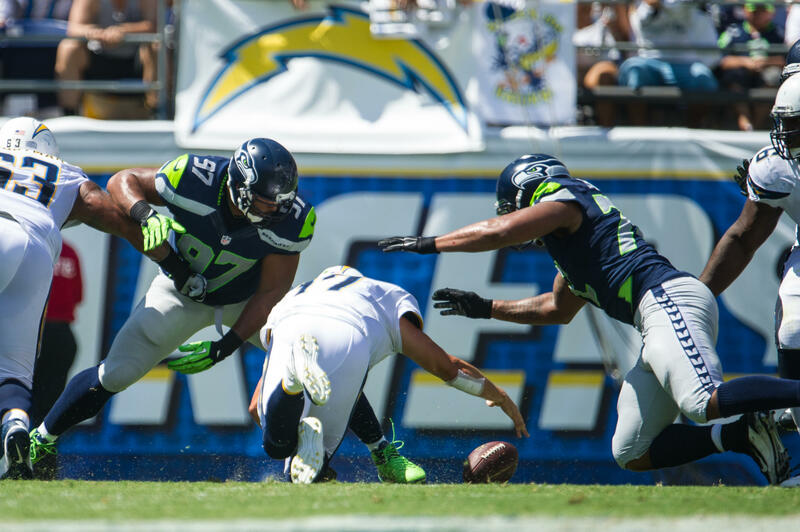 I always touch on the fact that Russell Wilson can make plays happen with his feet but it would be much easier to have the offensive line give him the time and the protection to make throws from within the pocket. In addition to Matthews, the Seahawks also have to keep a keen eye on B.J Raji along the defensive line and Tramon Williams in the secondary. Raji can singlehandedly give Marshawn Lynch fits this week and Williams can make the Seahawks pay if Russell Wilson is not on target with his throws. The Seahawks cannot afford to settle for field goals on every drive. I have full confidence in our defense to keep the Packers offense in check but I do expect the Packers to score touchdowns. Russell Wilson needs to improve in the passing game. The Seahawks rank last in the NFL in passing yards per game and a strong performance by Russell Wilson will put us in a great position to win. This week I predict that Sidney Rice will be our leading receiver. I think the Packers will give up a couple big plays that will carry Rice over 100 receiving yards this week. Our pass rush has not shown significant improvement acceptable to my standards. Because we are up against a talented gun slinging quarterback this week I think our pass rush will struggle again this week. On defense, if we can hold the Packers offense to less than 150 yards in each half I think we will be in great shape. Look for our secondary to be in the spotlight on Monday night. I will not predict any interceptions or big plays but I think all four starting secondary players will play up to expectations. The Green Bay Packers are a very talented team. Aaron Rodgers is one of the elite quarterbacks in the league and the weapons he has around him scare me this week. Cedric Benson saw expanded play last week so I would expect to see the Packers try to establish the running game early. As far as receivers, Rodgers has Greg Jennings, Jordy Nelson, Randall Cobb, Donald Driver, and Jermichael Finley to throw to. All five of these guys can put up big numbers and all can find a way to get open. Jennings will most likely be back this week after missing the Chicago game with a groin injury. If we cannot put pressure on Rodgers, these receivers will put up big numbers. The Seahawks this week will be keeping a close eye on the Packers special teams. Last week, Green Bay ran a fake field goal that turned into a touchdown pass and a relatively easy seven points. I do not expect Packers head coach Mike McCarthy to pull trick plays out of his hat again this week but the Seahawks need to be aware that fake plays are included in the Green Bay playbook. The Seahawks have not lost a home game on Monday Night Football since 2004. Since then the Seahawks are 4-0 at home on Monday night. This week the 12th Man will be on fire and it will be up to the Seahawks to make sure we stay that way. Bad play and Green Bay scores will take the fans out of the game so the Seahawks need to keep up their Monday night momentum. Best case scenario to keep the crowd alive is to score. Score early, score often. Random Thoughts: The last time the Seahawks played on Monday night I showed up at halftime due to a final exam for school. This year I am sacrificing my first day of the 2012 school year to be at the game. It better just be syllabus day in both of my Monday classes… The Seahawks are giving out white rally towels to the first 50,000 fans this week. Looks like I may have to cut my prefunction short this week to make sure I get one… Kris Allen of 2009 American Idol fame is singing the national anthem Monday night. Usually for primetime games the home team is able to book a well-known artist so Allen is a breath of fresh air in my opinion… There has been buzz online this week about the possibility of Chris Hansen raising the 12th Man flag on Monday night. The new Seattle arena is on track to be officially approved on Monday so I think it would be only fitting to have Hansen raise the flag. However, according to multiple Twitter reports, former Seahawks quarterback Trent Dilfer will be raising the flag. Dilfer works as an analyst on Monday Night Countdown so he will be in town for the game… I have been used to cold weather primetime home games recently. It will be nice to go to a primetime game with no sweatshirt and shorts instead of jeans… The Seahawks will most likely wear blue this week. I want to know what games we will be wearing gray for… Honestly I don’t want Greg Jennings to play for Green Bay. I would be fully content with starting DeSean Jackson and Mike Williams of Tampa Bay in fantasy football this week… The offense will be introduced this week. I cannot wait for Russell Wilson to run onto the field on national television in front of the 12th Man and all the fans who cheered him on at the University of Wisconsin… I will be bringing lots of Skittles this week. Fair warning: If anyone is sitting in or around section 340 on Monday night, be prepared for a Skittles shower if Beast Mode scores a touchdown… I’m so happy I won’t have to listen to Jon Gruden’s horrible analysis on television… Maybe if we win I’ll try to go down to field level to get a picture with Stuart Scott of ESPN. That would be pretty cool, even though I have heard he can be a d**k sometimes… Speaking of ESPN, it will be nice to get a lot of national media coverage this weekend leading up to the game. I just hope all the talk is not about the Packers. Who am I kidding? Of course it will be. The Seahawks get ZERO national media respect… If we win the talk on ESPN better not be about how the Packers lost. That happened last week against the Cowboys. Nobody wanted to acknowledge the fact that we played an incredible game. Stupid east coast bias. Prediction: This game will be a lot closer than most people think. At this point however, I’m not convinced the Seahawks can pull it off. They have the pieces and the talent to win but I am not convinced right now that it will all come together. The lack of a pass rush will be the difference in this game. I think we could be in for a track meet early on in the game. I see Aaron Rodgers passing for at least 275 yards and a couple touchdowns. The Seahawks will be competitive throughout the entire game but the Packers will sneak out of Seattle with a victory. Check back Tuesday afternoon as I review the Monday night matchup with the Packers and preview the next upcoming week of practice. Thanks for reading everybody. Go Seahawks! ESPN: CAN YOU HEAR US NOW?